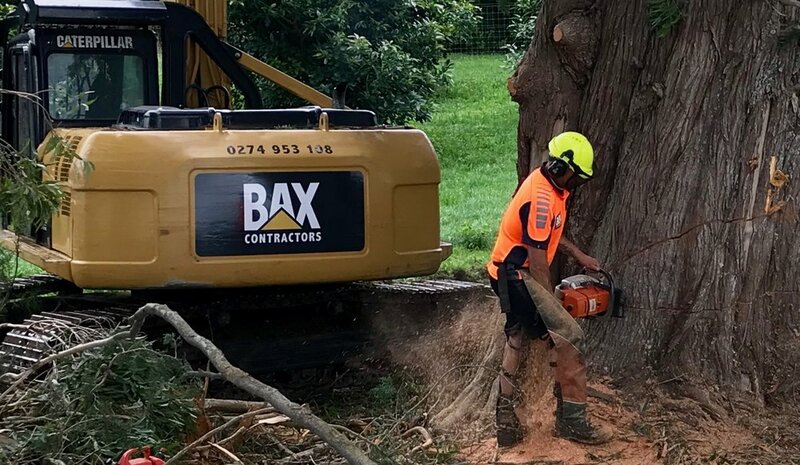 Bax Contractors is a well established tree removal business working throughout the greater Waikato and Bay of Plenty region for the past 35 years. Owned by Pete Johnson and Marcus Paprzik who bring more than 30 years experience working in arbourculture, land clearing and the forestry industry. With over 30 years experience, Bax Contractors are able to offer a solution for even the most difficult sites or trees. We can discuss all the options with you. We work throughout the greater Waikato and Bay of Plenty region and can help with all forms of tree and land clearance. Bax Contractors specialise in complete orchard removal, land clearance, logging small woodlots and all difficult trees. We are also able to chip, mulch and stump grind. Get in touch with us to discuss your next project whether it is for a residential development or orchard maintenance. We can help. Pete is a qualified arborist and we are a small owner operated business that takes pride in forming lasting working relationships. Because the person who quotes the work is on site while carrying out the work, you can be assured you will get what you asked for. We pride ourselves on forming lasting working relationships with our clients. Customer satisfaction is paramount.